Purpose: To examine changes in the reference segment luminal diameter after coronary angioplasty. Methods: Sixty-one patients with stable angina pectoris or old myocardial infarction were examined. Coronary angiograms were recorded before coronary angioplasty (pre-angioplasty) and immediately after (post-angioplasty), as well as 3 months after. Artery diameters were measured on cine-film using quantitative coronary angiographic analysis. Results: The diameters of the proximal segment not involved in the balloon inflation and segments in the other artery did not change significantly after angioplasty, but the reference segment diameter significantly decreased (4.7%). More than 10% luminal reduction was observed in seven patients (11 %) and more than 5% reduction was observed in 25 patients (41%). More than 5% underestimation of the stenosis was observed in 22 patients (36%) when the post-angioplasty reference diameter was used as the reference diameter, compared with when the pre-angioplasty measurement was used and more than 10% underestimation was observed in five patients (8%). 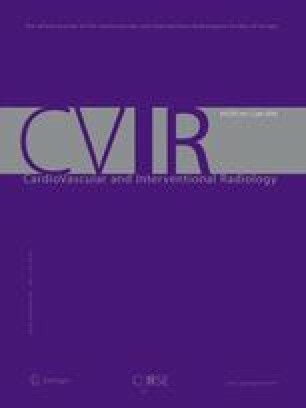 Conclusion: This study indicated that evaluation by percent diameter stenosis, with the reference diameter from immediately after angioplasty, overestimates the dilative effects of coronary angioplasty, and that it is thus better to evaluate the efficacy of angioplasty using the absolute diameter in addition to percent luminal stenosis.